Posted by SizloTech on Mar 15, 2017 in Mobile Phone | Comments Off on Why Use a CDN (Content Delivery Network)? 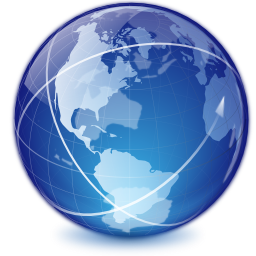 A Content Delivery Network (CDN) is basically a system of geographically dispersed servers. Every server caches the static content of websites, such as images, structural components etc. Since the majority of a page loading time is spent on actually retrieving the static content, these components of a website are cached in as many edge servers as possible, distributed all around the globe. We’ve asked experts from the JodiHost CDN to tell us who can use CDN and why it is necessary nowadays. When an internet user requests certain website, the server closest in proximity to them delivers the static content; since the data travel the shortest distance, a CDN provides the fastest website experience. So, who uses a CDN? Nowadays, at least half of all online traffic is being served by content delivery networks. In fact, with every passing year, these numbers are trending upward. In case at least one part of the business is online, and today it’s hard to even imagine it isn’t, there are many reasons to use CDNs. Nevertheless, if your site is strictly localized and the vast majority of the visitors are located in your hosting region, a CDN won’t benefit you a lot. However, websites commonly operate on a larger scale, thus a CDN usage is highly recommended, especially in one of these sectors: advertising, e-commerce, entertainment & media, online gaming, mobile, higher education, healthcare etc. So, how could your website yield benefits by using a CDN. A content delivery network improves page load speed, while handling high traffic loads. It is also useful for blocking spammers and similar bots; bandwidth consumption is reduced, coverage localized (with no additional costs) and your website protected from DDoS attacks. Essentially, a CDN ensures a faster experience to your online visitors while preventing your website to crash in case of a traffic surge.